It’s getting around that time again, the time when I’ll be heading up to the land of slow internet and no cell service in order to look after kids and manage computer nonsense. I’ll be away this weekend for some preliminary work, so there won’t be a livestream this week. Sorry about that! 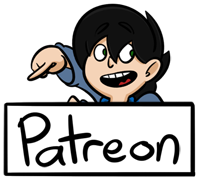 Once I’m back, there will only be one or two more streams before I’m away for the summer (the comic will update as normal, however). What I can guarantee (assuming I don’t die or my internet explodes) is that there will be a stream next week. I’ll have the date confirmation for next week’s stream in next Monday’s post. Who here has played Borderlands 2? Of you folks, raise your hand if you ever tried jumping on NPC’s heads while they were spouting off plot stuff. Those of you with your hands down are totally liars. Every time I have to wait around listening to the narrative, I spend it trying to consecutively bounce up and down on the speaker’s head. Beating my previous best is the game within the game. So concerning this weekend, this will be the fifth annual “Work Weekend” for my summer camp, and I’m proud to say that I’ve been fortunate enough to attend every one. The work we’ve done includes sanding/painting over graffiti, ripping out old and moldy tiles, landscaping, building a little rock water-fountain, moving boats, setting up computers, cleaning out storage, etc. Despite the hard work involved, it’s always great to get out of the city and breathe fresh air. The first work weekend, job wise, was the hardest. For years and years, we allowed the kids and counselors to write all over the cabins, which resulted in the walls being covered in names, dates, stories, etc. Generally this was wonderful, the graffiti left a record of the kids who’ve come and gone and sparked nostalgia in all who viewed it. It was up to us to sand off/paint over all of the graffiti… eight cabins covered floor to ceiling in the stuff. The sanders, despite wearing protective gear, were getting powder in their eyes and choking on the dust. The painters were covered in this awful peanut-brown color and were getting delirious from the fumes. We arrived around noon on a Friday, and worked till 8pm. The following morning we rose at 7 and immediately went back to work. At noon, we walked down to the basketball courts to break for a much deserved lunch. One of the guys, Aram, picked up a basketball and took a shot. Now to her credit, there was no way for her to know that we had literally just finished a five hour block of labor and had done eight hours the day before. That said, the look on Aram’s face was just wonderful, a perfect mixture of anger, confusion, and disillusionment. Nope. Never. Not during dialogue anyway. Have attempted this on friends spending too long in menus though. Nuts… I really thought it was commonplace! Or maybe I’m just weird and strangely attentive to NPCs? One thing that started happening was one player would start bouncing then another player would bump them off and start bouncing. Then the first guy would retaliate and try to bump that guy off and so on until the dialogue stopped. My record is 7 times without hitting the ground I think. It’s been a while since I played it. Oh totally! In that conversation up there, I ran to Doctor Zed and bounced off his head while the Echo’d it all to me. Our gaming sessions would end with about 15 minutes of trying to out bounce each other. Glad to hear we aren’t the only ones.